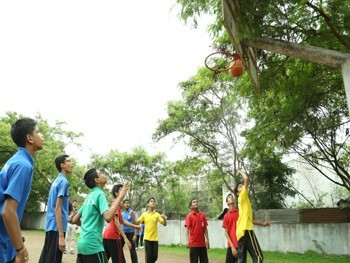 The school focuses on bringing out the talent in Sports of every child and also inculcates a spirit of sportsmanship amongst the students. A well maintained playground is provided for the purpose. The classrooms in our school are equipped with e-Learning smart boards which provide a healthy space for the students to enjoy their lessons. The classrooms are well ventilated with sufficient natural light and air. Our Hi-tech class rooms add to the excellent learning experience which we promise. 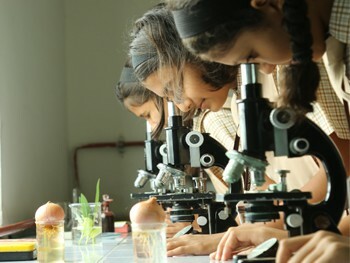 We have a well-equipped laboratory to enhance the study of Natural sciences. 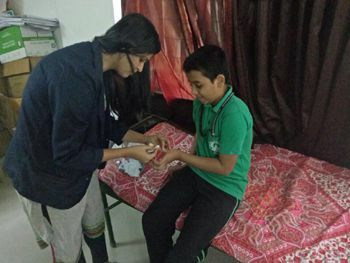 Experiments are conducted by the students. 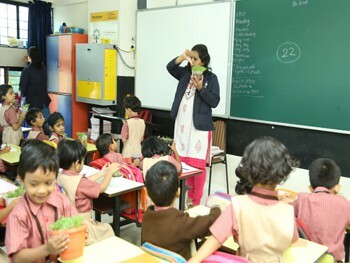 This effectively helps them associate their theoretical knowledge with the practical application. A modern computer lab with Hi-end machines with relevant facilities is one of our infrastructural high lights. 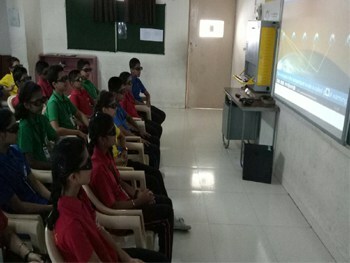 A well equipped 3D - Audio-Visual room with state-of-the art facilities to enhance creative and interactive learning. Various fine arts like Music, Dance, Drama and Painting are given lot of importance so that students learn to appreciate our rich culture and traditions. Sufficient literature about music is provided to the students to get an insight into music. 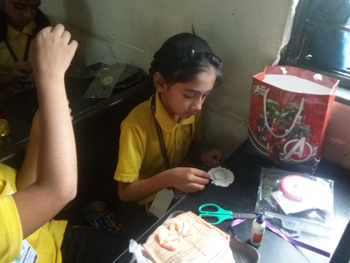 Various art and craft items are prepared by the students for every occasion. A very airy and refreshing room has been allotted to encourage the reading habits of the students.The library is well stocked with books & CDs like Encyclopedias, reference books to have diverse knowledge and information. 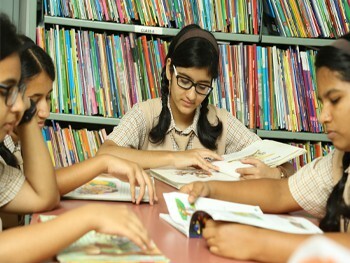 Fiction works of famous authors are also made available for general reading. We have a well maintained sick room to look after the students who are not well. There are three staff rooms for the facilitators of Pre-primary, Primary and Secondary separately. These are well ventilated, furnished and airy which helps the facilitators to relax, refresh and chat with colleagues along with work. 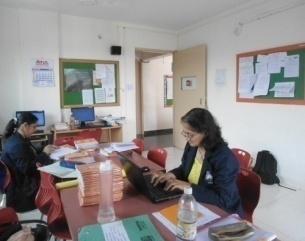 They are fully equipped with computers which are ultra modern which makes a facilitator- a true resource person. We have cozy, comfortable Counselors room.We have qualified counselors to look after the emotional quotient of the students. 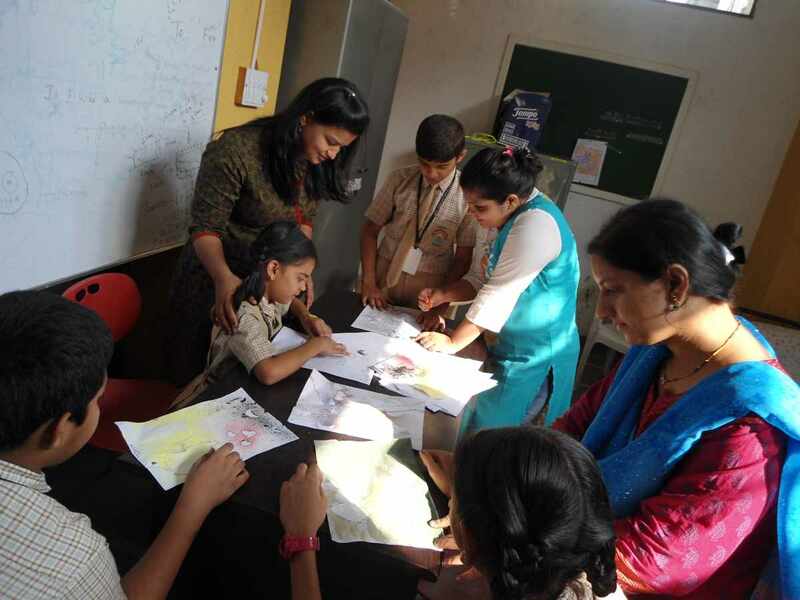 Children with learning difficulties are taken care by the trained remedial facilitators in a proper environment where learning becomes a joy. 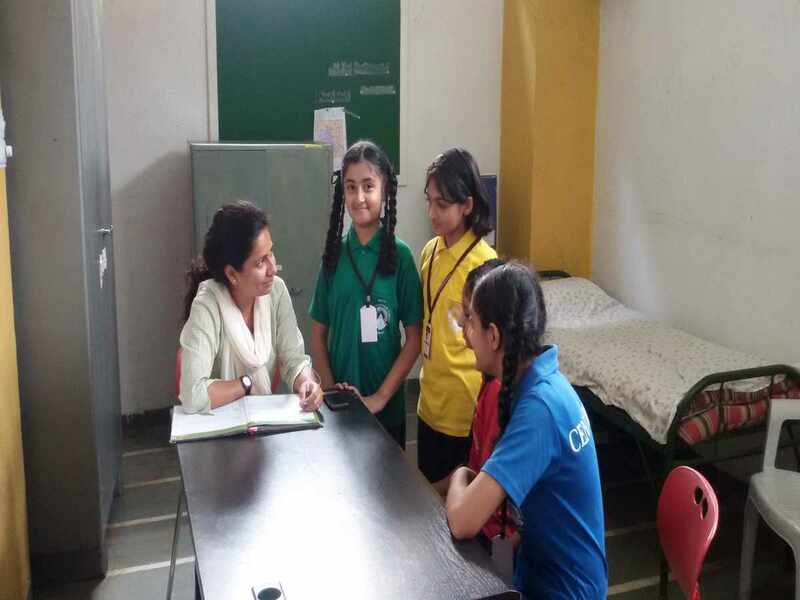 The room for remedial learning is very comfortable, airy and well ventilated so that the students enjoy their learning in a friendly atmosphere.